Cathy Isom has the health benefits of a fairly easy berry to grow and how to utilize them. That’s coming up on This Land of Ours. Elderberries are extremely versatile to use and very easy to grow. 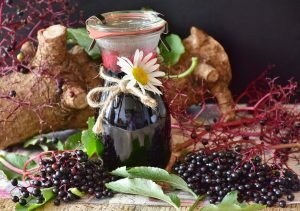 While they may not be particularly delicious on their own, elderberries are make tasty jams, syrups, jellies, even wines! Even the flowers are edible, and they make a delicious tea. They are easy to grow, don’t mind wet areas and can deal with subpar soil. The berries are renowned for carrying lots of vitamins and minerals. 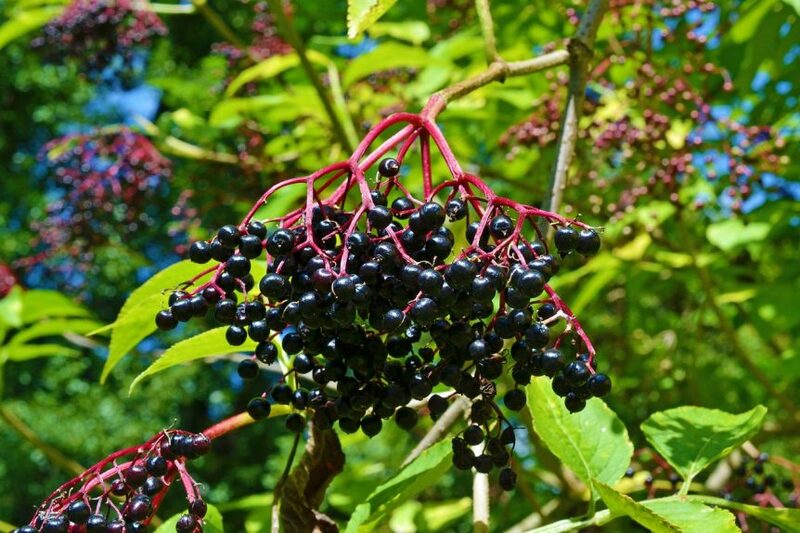 Additionally, elderberries are recognized as medicinally beneficial in several ways: aiding digestion, improving heart and lung health, controlling diabetes, strengthening bones, boosting the immune system, and much more. 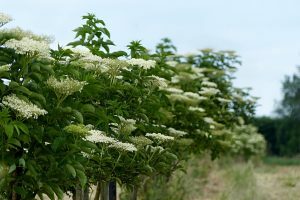 Taking care of elderberry bushes is relatively easy. The main thing is to make sure they have plenty of water. They like roughly an inch a week, so summertime rain shortages do require a little irrigating. It’s a good idea to mulch heavily around the base of the tree to prevent the soil from drying out in the sun and the weeds from challenging the plants. Dead or otherwise, distorted canes should be removed in the spring. When the berries get large enough to begin dropping on the stem, they are ready to harvest, and sometimes, the race with the birds proves the largest challenge.